Raj Industries was established as a Trading Co in 1998 doing Import business and offline trading of Hardware Fittings & Locks. We are also distributors for MikasaTM by GreenlamTM Engineered Wooden Flooring and GreenpanelTM Laminated Wooden Flooring. Every person has the ultimate wish of having their own dream home or office and live in a luxury lifestyle or work smartly. Prompt availability of Home or Office improvement products at affordable and reasonable prices is a stepping stone for the fulfillment of wishes and dreams. Ordering online to us will save time, money and enjoy hassle-free procurement. We are transforming the Home or Office improvement industry supply chain through e-commerce platform by offering a unique blend of product discovery, e-commerce, solutions, and content which will change the way this industry operates now. Showroom and Shop owners can join us to be our dealer or re-seller. In most Indian homes flooring is important not just for aesthetic appeal but also for functionality: they keep rooms cool during tropical summer and serve as a non-fussy ground for furniture. The floor may not always be the first thing people notice when they enter a room, but with the flooring tile or wooden floor choice it could be. Laying new flooring tiles, installing a new wooden or carpet floor is no simple task but with help from the right carpet dealers, tilers and flooring contractors in Kolkata it needn’t cause any difficulties. Establishing the right flooring for your home is not easy. 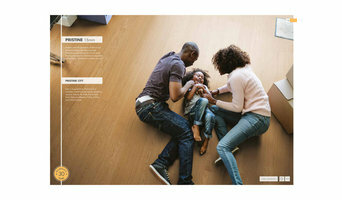 You need to think about maintenance, durability and how the particular flooring will make the room look and feel. The choices are many from concrete, tile and marble to wood and vinyl. Also, flooring material choices are impacted by the space, carpets and rugs are used in the rooms. Carpet manufacturers and retailers in Kolkata can offer everything from a catalogue of carpet colours and pile options to carpet accessories like underlay, gripper rods. Carpet dealers will need to measure your home and they will provide you with an estimate for materials and fitting service. They should also be able to help with any repair or carpet cleaning services. Similarly, a Kolkata tiler will be able to help you pick a particular type of stone or tile that suits your style and budget. Don’t forget to ask tiling professional to suggest patterns and designs to enhance the appearance of the flooring. A beautiful hardwood floor can be the perfect way to complete a room of any style or design. The right wooden floor specialist in Kolkata will be able to advise you on the options you have that fit your budget. If the wooden flooring cost exceeds your budget don’t worry you can opt for laminate wooden flooring. If chosen carefully and done properly, fitting laminate flooring in your home can look almost as good as the real thing. Remember a professional flooring installer in Kolkata is a must to ensure that your new floor fits the space perfectly and remains looking beautiful for years to come. You can also find the perfect carpet or rug retailers and dealers in Kolkata to help you add the finished to your flooring.